The imminent arrival of a new watch is general news, but what we didn’t know about (or more likely overlooked) was that the watch is to be joined by a new fitness tracker and a new pair of buds. It also appears that Samsung are having a clear out and are starting to file things in a more logical way, because apparently all of their future fitness wearables and peripherals are going to fall into the family known as Galaxy. As when s you are no doubt aware Google has a habit of using fishy code names for it’s up and coming projects, so ears were pricked up this week and the rumour mill started rolling when the words Salmon and Medeka appeared on the AOSP platform. AOSP (Android Open Source Project) is the platform used by Android developers and has provided vital clues in the past to Googles next project. There was another code name on there Walleye, but we already know that this is the Pixel 2. So what are the new fishy references? Well there is a strong suspicion that at least one of them refers to the long awaited Pixel watch. We already know from leaks last year that the company were working on 3 versions of the device. After spending $40 million on obtaining smartwatch tech from Fossil, Google spent most of last year fending off rumours of a 2018 watch launch. Maybe with the emergence of the new fishy clues we are going to be treated to in 2019. The FDA, at the moment seems to be un-characteristically receptive to wearable tech at the moment and the industry seems to be making good progress within this currently liberal time. A number of ideas that only 12 months ago seemed stuck in the pending pile suddenly are getting fresh consideration and approval. Early last year the FDA, approved the Embrace 2 for adult use. Now the innovative watch that is capable of detecting the onset of seizures, has been approved for use by children. Because of it’s unpredictability childhood epilepsy is one of the most stressful debilities that any family to cope with. Parents have been known to sleep on the floor of their child’s bedroom just in-case of a seizure. Children can’t swim in deep water, in some cases even take a bath on their own, such is the restrictive nature of this indiscriminate illness. “Not knowing when the next seizure will occur can create significant anxiety for the child with epilepsy and their family members,” says Anup Patel, section chief of neurology at Nationwide Children’s Hospital in Columbus, Ohio. Now there have been many attempts to predict seizures over the years, indeed there are now a few smartwatches on the market that claim a certain amount of success within this emerging technology, but the Embrace is the first device to receive the backing of the FDA. The reason that at the moment it is the only device to receive such backing is the whole package of capabilities presented to the customer. The Embrace is as unobtrusive as any modern smartwatch and yet packs quite a punch. The company have deep dived into the effects of epilepsy, the measure that can currently be put in place to bring some aspect of normality and quality of life, and freedom of choice to not only the epilepsy sufferer, but their families, and more specifically the parents of sufferers. And researched where the holes in those services are, and how to fill them. 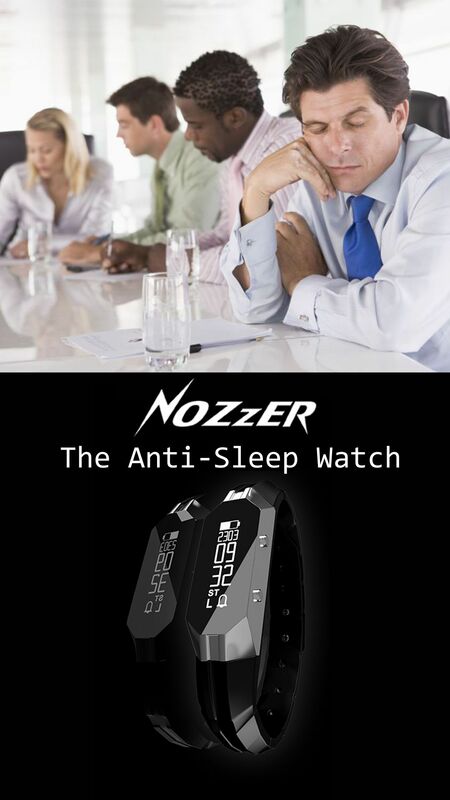 The watch detects the movements and electrical pulses in the skin associated with seizures for many people. When it suspects a seizure, it sends an alert to a caregiver’s cell phone, along with GPS data so the wearer can easily be found. It also stores data and analyses sleep and activity patterns, which could help patients and their doctors better understand when and why a seizure might happen on any given day. It’s battery life of around 48 hours which is a little restrictive, although a half charge (enough for a days use) should only take around 30 mins. Currently passed for use for children over the age of 6. The embrace is only available on prescription, for an initial outlay of $250 and with a monthly subscription of $10 it may seem a little pricey but when weighed up against the current best other options, it certainly seems to be an advance that brings piece of mind for everybody. After all the only other viable methods include a medically inserted device or the most popular option over current years has been the epilepsy trained dog, which has proven to be ultra reliable in everything other than picking up the phone for help. So your too busy to make the gym every day? Your schedule makes it difficult to work out. Well yes even the most eager of fitness addicts have their resolution to keep to any fitness regime tested because of the pressure of modern life, and that is something that most fitness trackers and their programs suffer to support. Now though there is the promise of a different, more flexible way forward. The Aura fitness tracker is capable of measuring how your body is doing right throughout the day, Bioimpedance is the method of measuring your body composition in 4 ways fat, muscle mass, minerals, and body water. No matter what your personal goals are, building muscle, losing weight, the Aura now gives you data that you can measure rather than the visuals of the mirror or scales. The data provided through the Aura band makes it easy and simple to set your fitness goals and then accurately track your progress. Enabling you to quickly establish which activities are working for you and which are not. Giving you the ability to achieve your outcomes much quicker. Our site is driven and directed by feedback, so please feel encouraged to leave you comments below, they will help to shape this site in the future. Samsung is really full of surprises releasing new gear and updating the ones in already on the market, but this is fabulous and surprising, creating gear that could detect seizures, I think this is really going to get a lot of people going for their watches especially those with the chance of having seizures. This is absolutely creative. I like you blogging, it’s really educative, keep up the good works. This is a lovely article and i am happy to glance through this lovely post today, These are good looking wrist watch and i wish to have it at my finger tips. you have given a lovely review about them which is an eye opener for me. Thanks for giving us great insight on which watch to go for. Can you please share the amazon link with me ?? Thanks for your comments. If you are relating to Amazon links for the Galaxy, I would suggest that you shop directly with Galaxy at the moment, as the item is so new that would be your best point of call. HI, Adrian. I really enjoyed your post about what’s new and coming soon in smart watches. I was especially blown away by your info on the Embrace. I’m amazed that watch technology has progressed to where it can detect seizures and notify caregivers so they can respond. That’s a watch that has a life-saving function to it! It looks great too! The price is around half that of an Apple Watch, so it’s not bad at all in that regard, and the $10 per month monitoring fee is reasonable too. Most of us spend that much in a week on our favorite soft drinks or coffee. I think that watch is going to be a big success. I had never heard of The Embrace. I’m going to share that information with friends of mine that have children who has seizures. It’s amazing the technology of sending an alert to a caregiver. It must give the such peace of mind if there is an issue. The AURA seems like such a great idea compared to the regular “smart watch”. I like that you can get real time data. That is also a product I haven’t heard of and I’m going to learn more about. Glad I found your website. Thanks for sharing the interesting topics. I am a great fan of fitness watches and have always been on the look out for the latest fitness bands/brands. At the moment I have Fitbit surge that is just about had its final round, I love walking and counting my steps, however, my problem with it, is that the large screen cracks easily due to my hand bumping into trees, walls or things. I tend to wave my hand a lot as I walk. Your article certainly has given me quite a few choices for when I buy my new one fitness band. The new Aura fitness tracker, sounds very appealing and looks very hip, it has all the required Bioimpedance features that I am looking for in a fitness band. Thank you for your article, I have bookmarked it, so that I can check your products and especially the Aura fitness tracker. Can you please advise to what is the cheapest online store for purchase? Thanks for your comments. The best prices that I have found are generally embedded in my pictures and I update them regularly. Where you find no link embedded then Amazon is generally a reasonable starting point, but I try not to promote them whenever possible. I’m sorry but I am very confused what the topic really is. Is it the watch or the individual (non-fitness or biofeedback) technologies inside it? Is the seizure detection what you’re actually reviewing? You detail that nicely. This topic incorporated into an article about biofeedback technologies in general would be good. Then you could say which watches or other devices have these technologies. Or is the topic the Aura tracker? Or is actually the watch with these technologies? The title suggests that you’re going to talk about how Samsung is changing the game, but you mention Samsung only once in the whole article. There just seems to be a lot of disparate content. I can see at least three topics that this article could be broken into separate (but connected) articles. Thanks Adrian, Samsung is really doing something new. We have heard about the Fitbit which tracks exercises and other health details. We have also heard of the Apple Watch. But the Samsung seems to be coming at a higher level. This will be really good for a seizure to be detected before it actually happens! This post was very interesting, though I can’t understand why the FDA has to be involved in it’s approval. It is a wearable and from what I can gather is not a treatment of form of management for epilepsy. From what I have read, it can give some sort of warning when a seizure is about to happen as well as notifying the patients caregiver that the person is in some sort of trouble. This has to be a good thing. As for the price, well technology has always been high and will continue to rise but the monthly subscription is actually reasonable if you take into account what the software built into the device can give.